McClinton Neal, also known as "The Clean Up Man of Comedy" for his tasteful style of humor, was born in Dallas, Texas and now lives in Los Angeles, California where he finished out his 10 year Olympic track and field career with the Santa Monica Track Club. Neal is the first United States Olympian to perform stand up comedy professionally. Standing at 6'4", Neal's smooth southern style, quick wit, and genuine smile cause his audiences to feel right at home. He fuses a storytelling style with short, quick jabs about real life situations to create a hodgepodge of variety, versatility, and humor. 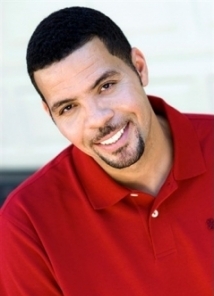 As an actor/comedian he has appeared on ABC’s General Hospital, CBS' Young and the Restless, HBO series, BET's Comic View and the Tavis Smiley Show. McClinton Neal is a well-rounded guy with a sparkling personality and a lot to share. His background allows for rich stories and great entertainment for everyone to enjoy.